The Bay Area is made for awnings. 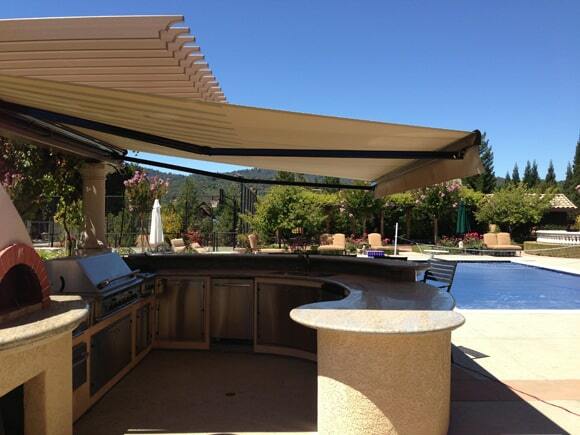 Nothing gives you the freedom to spend more time enjoying your outdoor spaces like retractable awnings. 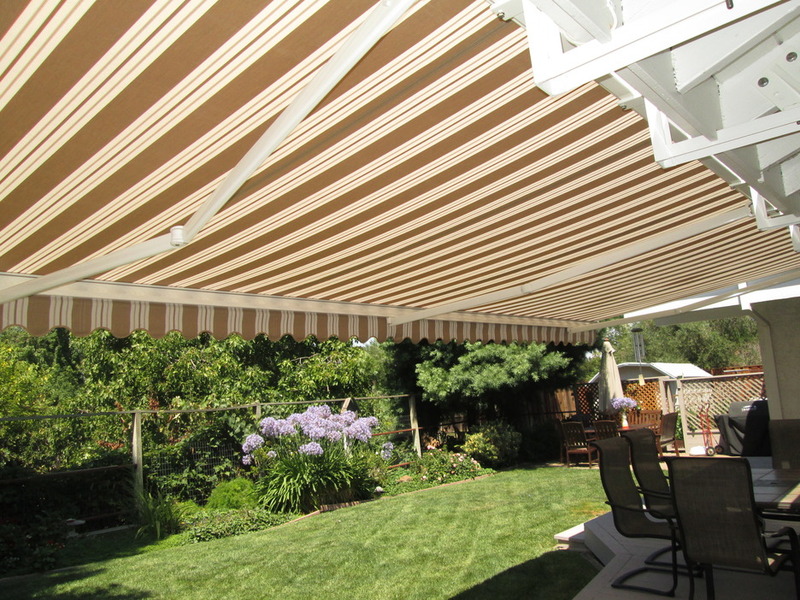 One of the lines that we carry, assembly, and install include German-engineered VOSS awnings. VOSS awnings allow you to soak in the sun as long as you want, then provide instant shade without moving or going indoors. For half a century, VOSS has been innovating sun protection systems using the highest quality materials based on state-of-the-art technology. Everything, including research and development, technical design, creative concepts, and production, has been developed under one roof ensuring excellent quality control. 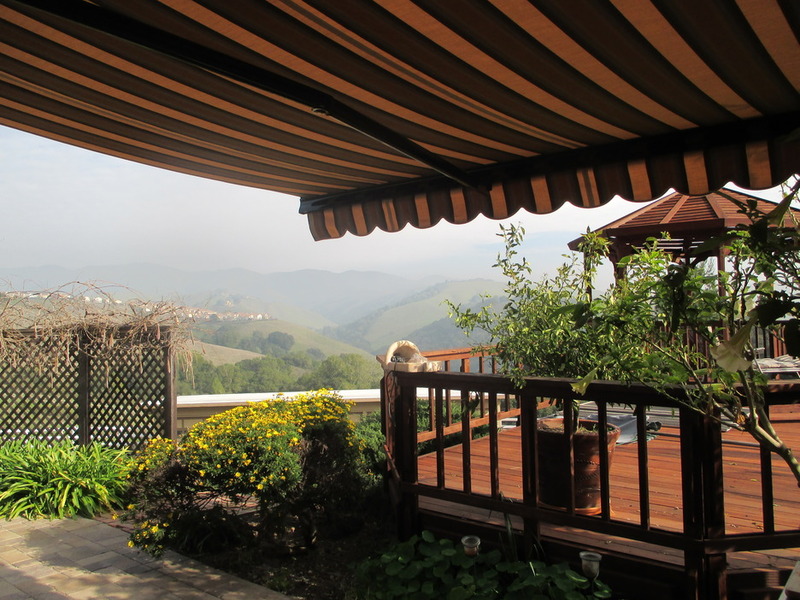 European Rolling Shutters is your home for VOSS Awnings in San Jose. 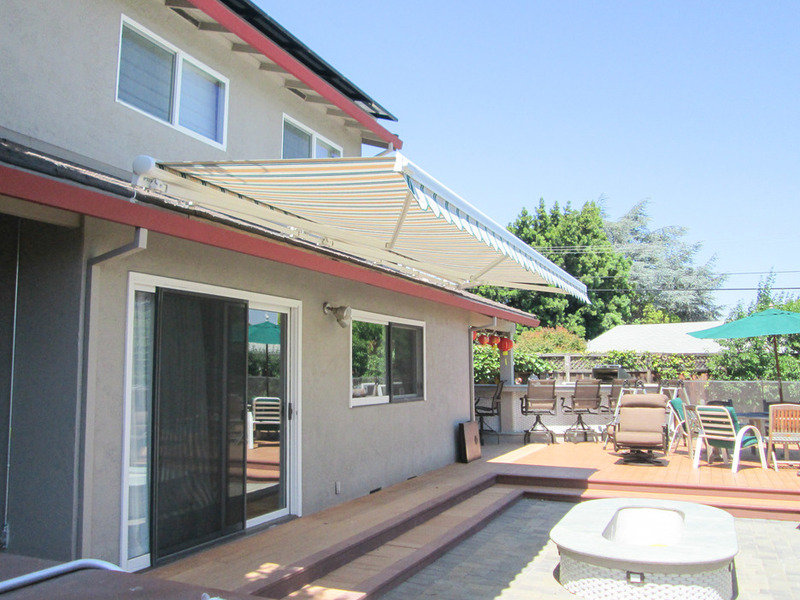 We carry 3 major VOSS awning lines that we customize for your space and assemble right here at our showroom and factory in San Jose. We can help you choose the right awning that will look great, add value to your home, and allow you to start getting the most from your outdoor spaces. The Sunrise line is innovative and convenient, blending state-of-the-art German design with uncompromised durability. Employing steel pins, triple-sheathed cables, and spring-loaded arms, Sunrise is one of the strongest and reliable awning models sold. When the awning is not in use and securely stored, a stylish hood protects your awning, ensuring a clean and long-lasting fabric. 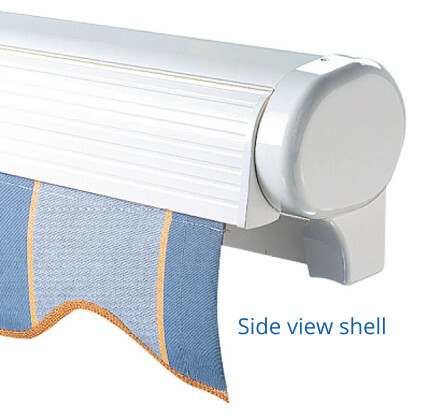 An integrated drip rail prevents the valance from dirt preserving the beauty of your awning fabric even longer. Uncompromised Strength – Steel pins and triple-sheathed cables ensure integrity and durability. Superior Fabric Protection – Stylish hood design protects your awning and fabric adding years of use. Drip Rail – An integrated drip rail keeps your fabric dry and looking great year round. 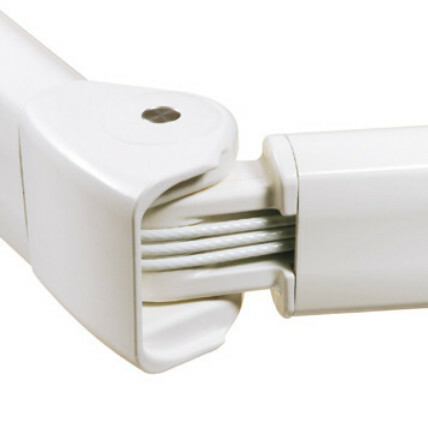 Adaptable Mount – Can be easily mounted directly to the wall or soffit. The VOSS TOGA awning comes with all the features and benefits of the Sunrise model with some additional advantages. When the TOGA awning is fully retracted the premium fabric is completely surrounded in a clamshell of powder-coated aluminum with only the valance being exposed. The elegant case construction of­fers obvious functional advantages as well as a great look over alternatives as it has no open folding arms. If you prefer removing your awning for certain periods throughout the year, the valance can be easily removed and stored to prolong the life of the fabric. The TOGA is the ultimate in fabric protection and is highly recommended for roof-mounted retractable awnings, but it may also be used as a wall-mounted awning. Superior Protection – Integrated shell covers keep the fabric and mechanisms protected from the environment. Full Coverage – One solid piece that comes in standard sizes to 23 feet wide and project up to 13.5 feet. Wider widths available upon request! Superior Corrosion Protection – Special powder coating system adds years of protection. Extensive Fabric Collection – Choose from a comprehensive selection of the highest quality fabrics by Sunbrella, Dickson, Sattler, and more. Frame & Shell Colors – Choose from standard colors white RAL9010 & brown RAL8022. 15 Year Warranty – Included on our synthetic coated steel cables. Our VOSS awning lines come in a plethora of canvas awning fabrics and patterns from some of the most reputable suppliers in the industry, including Sunbrella. Most VOSS awnings we install are equipped with Somfy automation technology to retract the canopy when it’s not in use. These German-engineered awnings can also be automatically retracted in poor weather with the optional addition of our weather sensors. Ready for a VOSS awning for your home or business? VOSS’s littleBig is designed and engineered for tight spaces. When a tight fit is mandatory, the TOGA®­-littleBig® adapts perfectly. The special placement of the folding arms allows an extra large projection at a minimum width. The littleBig®­-awnings are absolutely perfect for the smallest terraces, courtyards or decks. Extends up to 13’ 5” (depending on width). Another feature that makes the littleBig so flexible is the optional addition of a drop shade with an expansion up to ten feet for even more front shade coverage. If the awning is getting mounted in a really tight space, the hand-cranked option gives you an additional six feet of awning coverage. Adaptable – Special placement of the folding arms allow for a large projection at a minimum width. Built-in Safety – Shoulder bracket designed with eccentric adjustment and automatic wind lock. Durable and Strong – Stainless steel connecting parts ensure longevity and stability. Extensive Fabric Collection – A large assortment of fabrics ensures you’ll get exactly the look you want from your VOSS awning. Thinking about upgrading your home with some of the best German-engineered retractable awnings available? Schedule your free in-home estimate & consultation. Simply fill out our contact form by clicking the button below and we’ll get right back to you. We also offer luxury markilux awnings.